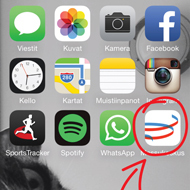 One application, all events - download Messukeskus app to your smartphone! The application is free and available on App Store and Google Play. It can be found from the stores with search “Messukeskus”. 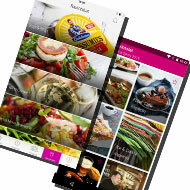 Exhibitors, Messukeskus and its restaurants send you tips and special offers during the event. Make sure you have your Bluetooth on and benefit from the service. You can use Messukeskus’ own Wi-Fi on site. After downloading your favourite event’s information once, the information is available to you, also when you are not online. Browse through the list of events and download your favourites. What companies, shows, lectures and restaurants interest you? Make a list of your favourites and make the most of your visit. 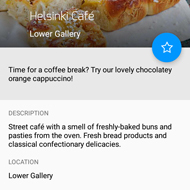 Messukeskus has plenty of restaurants and cafés, all of which are listed on the app. Choose your favourites from delicious coffees and pastries at Fazer Café, nutritious lunch at Table, or traditional liquorice from the Ice & Candy kiosk, just to mention a few. 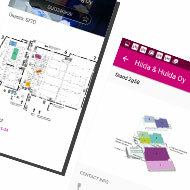 Forget carrying printed fair guides with you – the new application offers updated maps of the exhibition area. A navigation tool is also being developed to guide you to your destination. All exhibitors are listed on the service. For more specific information and contact information, simply click on the company name. 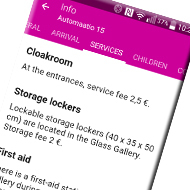 In the info section you can find information on Messukeskus’ services, e.g. parking. You can also give us feedback via this section. 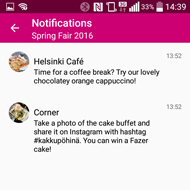 Would you like to reach the visitors before and during events using the application? 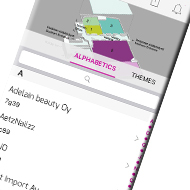 Click “Exhibitors” on top of this site to find out more!